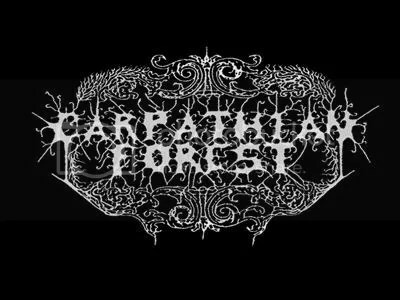 Norwegian Black Metallers CARPATHIAN FOREST announced today that drummer Anders Kobro will be sitting out the band’s upcoming shows due to post-op problems that have occurred following full hip replacement surgery earlier this year. His recovery has been much slower than expected, and ongoing problems, which may even require further surgery, have had a marked effect on his playing recently. With a confirmed schedule that includes Hellfest, Party.San, Meh Suff and Brutal Assault, and more to be announced, drummer Jonathan Alejandro Perez will step in, allowing Kobro time to recover and get back on form. Commenting on the situation, guitarist Tchort said: “It was pretty obvious to everyone, band and fans alike, that Kobro’s playing since his operation has not been up to his usual high standards. But more worrying was the fact that the heavy schedule of rehearsing, live performances and travelling was actually hindering his recovery. CARPATHIAN FOREST has had the same lineup for so many years that it’s a bit of a shock to the system to think that he won’t be with us for the time being, but Jonathan is a skilled and experienced drummer and we have no doubts that he is more than up to the job”. Ironically, the band had to cancel its recent appearance at the Maryland Deathfest, not because of Kobro’s health, but because the embassy didn’t return his passport in time for him to fly out, even though all the visas had been requested at the same time and guitarists Tchort and BloodPervertor and bassist Vrangsinn received theirs in plenty of time. “There has been much speculation and rumour about why CARPATHIAN FOREST had to pull out of MDF but there really isn’t anything sinister about it at all, just an excess of bureaucratic red tape” said Tchort. “Kobro’s passport was delayed in the system, and with Nattefrost they requested a lot of additional documentation which is not normally required, and which would have taken months to obtain. We were, in any event, going to play as a four piece, and we waited for Kobro’s passport until the very last possible moment. We have since found out that the door is still very much open to granting Nattefrost a visa in the future so we can look forward to finally being able to play in front of our US fans”.